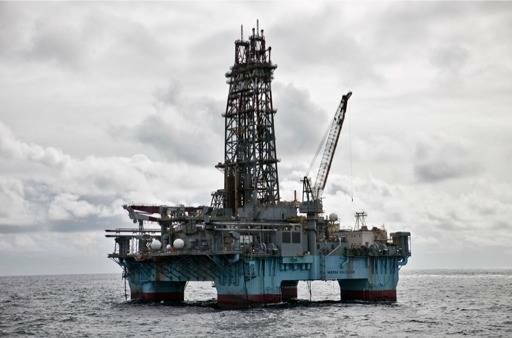 Maersk Drilling takes the first challenging step into deepwater drilling in West Africa, 'Maersk Deliverer' voted 'Rig of the Month'. Maersk Drilling has entered Angola for the first time and after only one full month in operation for Cabinda Gulf Oil Company Limited, local setup of Chevron Angola, the Mærsk Deliverer has been awarded 'Super Rig of the Month' amongst the six rigs the oil company is operating in Angola. West Africa, such as Angola, is believed to have one of the largest ultra deepwater oil reserves in the world, and it is one of Maersk Drilling’s main areas of interest when employing its growing fleet and aiming to deliver USD 1.0 billion to the A.P. Moller – Maersk Group’s profit medium term. 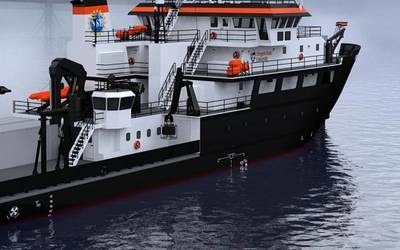 Maersk Drilling has invested US$ 4.5-billion in new drilling rigs since 2011, and the newbuildings will be added to one of the youngest and most modern offshore rig fleets in the world. "We consider deepwater drilling to be the most compelling growth story in the offshore space, and as the award in Angola indicates we have a strong competitive position to take part in this growth due to our high skilled employees and state-of-the-art equipment,” says Claus V. Hemmingsen, CEO of Maersk Drilling and member of the Executive Board of the A.P. Moller - Maersk Group. Mærsk Deliverer has been operating in six different countries in West Africa for eight different clients over the past two years. Mærsk Deliverer is currently on a two year contract with Chevron in Angola.